WATCHERS ON THE WALL – Hot on the heels of HBO’s confirmation of the Game of Thrones season 7 episode count and summer premiere, we have exciting news about the home release of the sixth season! HBO announced today that Game of Thrones: The Complete Sixth Season will be available for download on Digital HD on August 1st, 2016. And not only can we look forward to the digital release, but the Blu-ray™ and DVDs will also be available this year, much earlier than we usually would expect. 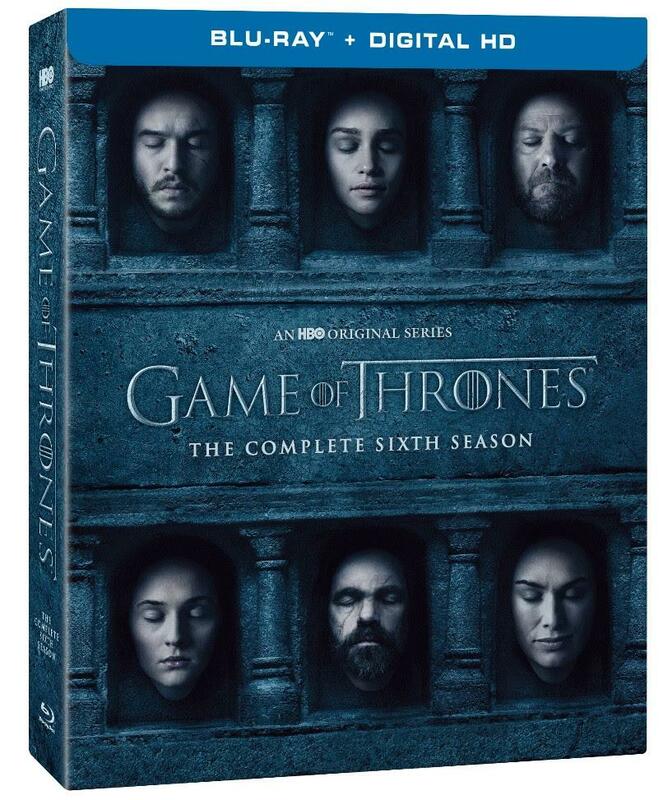 Instead of being released in advance of the new season as we’ve grown used to, Game of Thrones: The Complete Sixth Season will be available on Blu-ray™ & DVD on November 15th, 2016. Just in time for the holidays! The DVDs and Blu-rays look fantastic as usual, and it’s great that they’re putting them out earlier. Since the show is delayed in being released, there’s no sense in holding back, might as well get them out in time for that holiday rush. Plus we’ll have some great bonus features, new histories and lore, and assorted audio commentaries to tide us over until the new season next summer. Happy Birthday Michiel. You are my favorite actor. I’ll always remember you from the TVseries Nashville and the movie Age of Adeline. Too bad I don’t have cable so I cannot see Game of Thrones. Have a fun day & make many more movies in the US. Your fan, Christine.